The resolution approved by the US House of Representatives to end Washington’s support for the Saudi war on Yemen is “meaningless,” says a political commentator, adding that economic sanctions should be imposed on Riyadh for its military aggression against the impoverished nation. 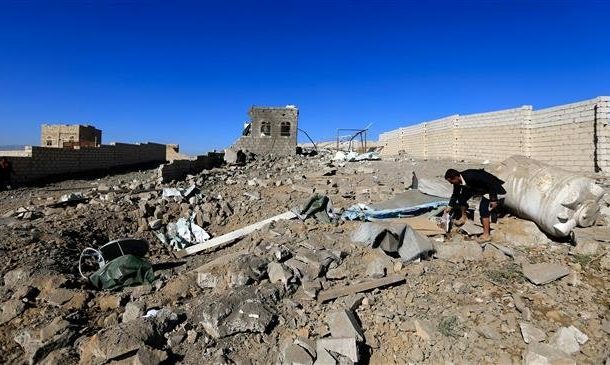 The US House of Representatives on Wednesday adopted a resolution that obliges President Donald Trump to end Washington’s military support for the Saudi-led coalition’s war on Yemen, and withdraw almost all US forces engaged in the war in less than a month. The resolution was passed 248-177, with one voting present. The resolution directs the president to remove any US armed forces that are affecting the war with Yemen, with the exception of forces purportedly fighting al-Qaeda in the Arabian Peninsula, in less than 30 days after the resolution is enacted. “As far as this bill goes that went through the House of Representatives here in Congress, I am very cynical. It is almost less than nothing quite frankly. It registers very little here in the US as far as the news is concerned. We have been having four years of war in Yemen, it is a war of aggression, the US is doing nothing really about it except selling weapons and helping the Saudis with this war and I think even if this bill were to pass and be signed by the president it would be next to meaningless because it doesn’t really address the problem which is the aggression of Saudi Arabia,” David William Pear told Press TV in an interview on Thursday. “Even if they were to pass this bill, there is no way to enforce it. The US has already trained Saudi Arabia and their pilots. If they really wanted to do something, they would sanction Saudi Arabia and put economic sanctions on them the way they have done against the countries that they really want to try and change it –not that I agree with sanctions- but this is really less than a hand slap and quite frankly it is very discouraging,” he added. The offensive initially consisted of a bombing campaign but was later coupled with a naval blockade and the deployment of ground forces to Yemen. The war has taken a heavy toll on the country’s infrastructure, destroying hospitals, schools, and factories. The UN has already said that a record 22.2 million Yemenis are in dire need of food, including 8.4 million threatened by severe hunger. According to the world body, Yemen is suffering from the most severe famine in more than 100 years. The US House of Representatives has voted to stop Washington’s military support for the Saudi war on Yemen.